Like-new throughout. 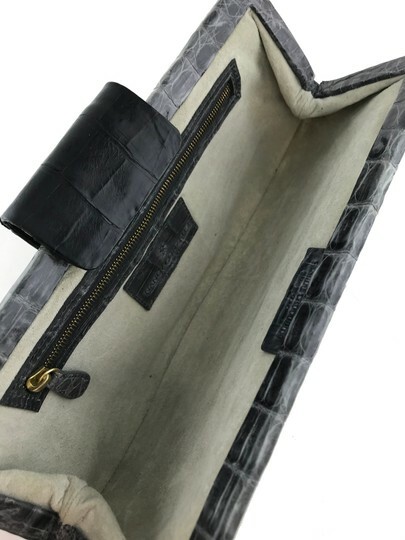 Interior is perfect. 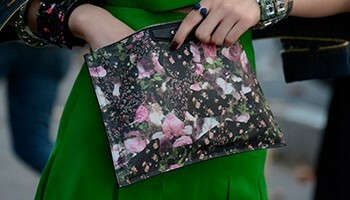 *Includes authenticity and designer hangtags. 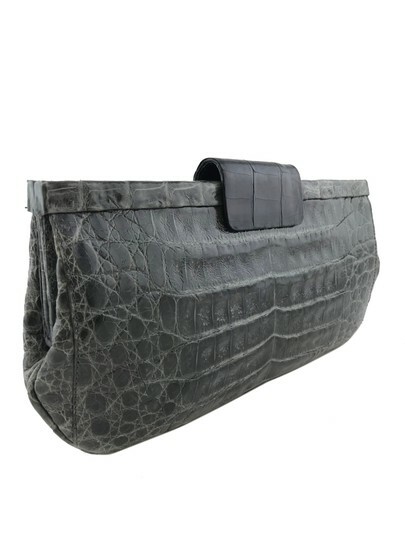 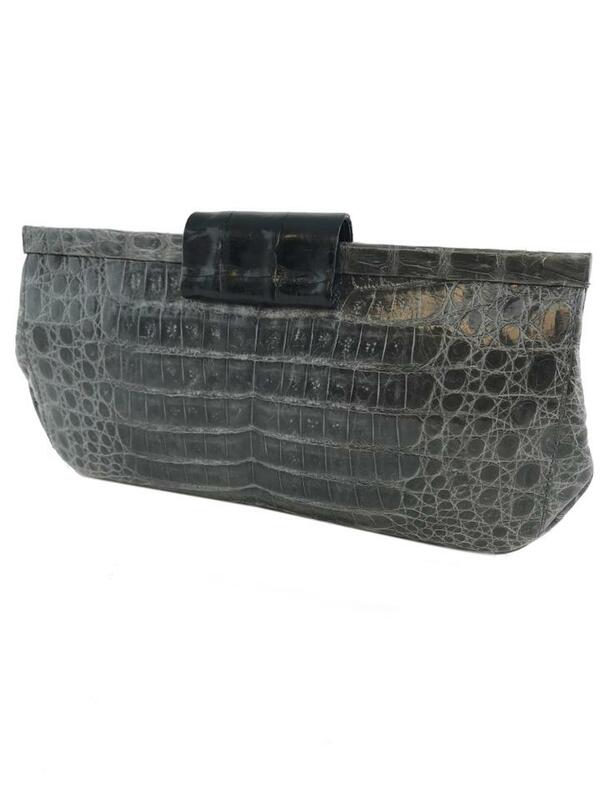 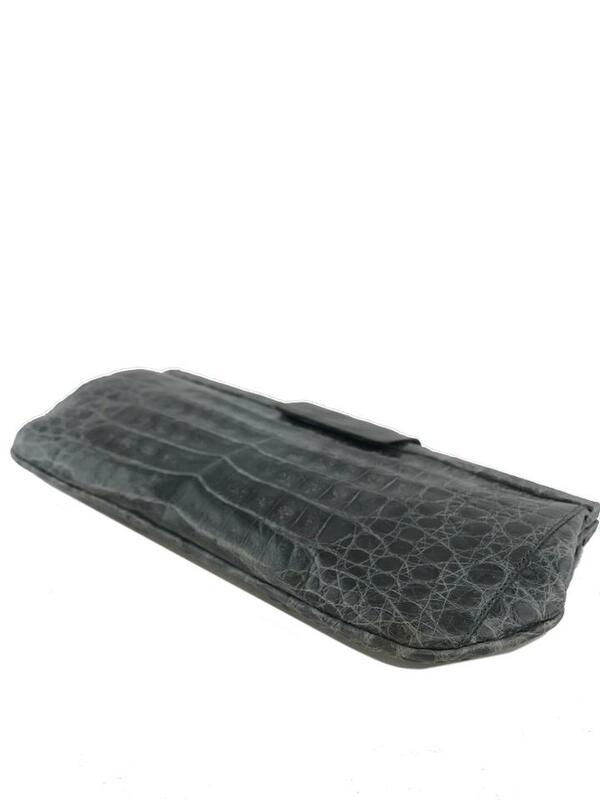 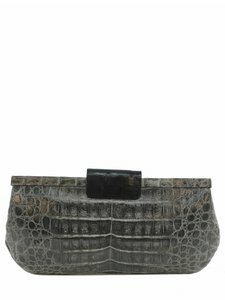 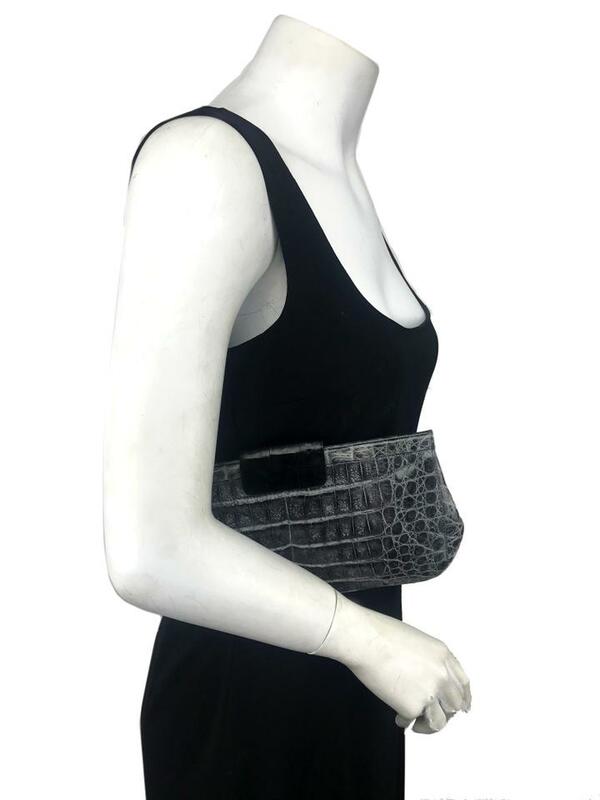 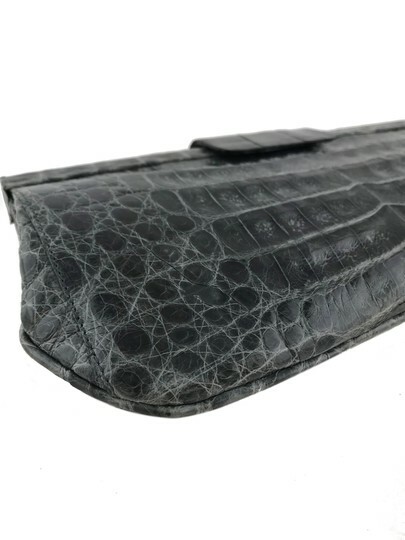 We guarantee the authenticity of this gorgeous Nancy Gonzalez Shiny Frame Crocodile Clutch crafted from exotic charcoal gray crocodile skin. 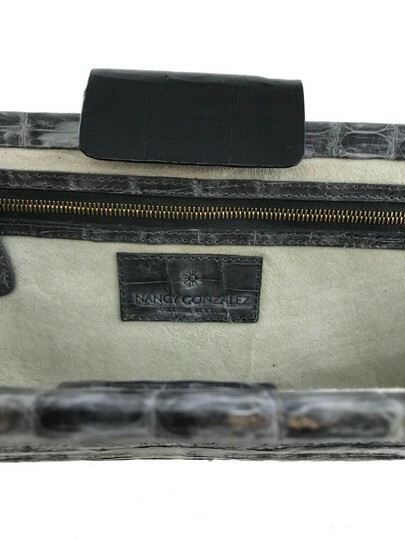 This stylish clutch features tonal topstitching and a hidden magnetic snap closure with an additional secure flip lock closure at top.